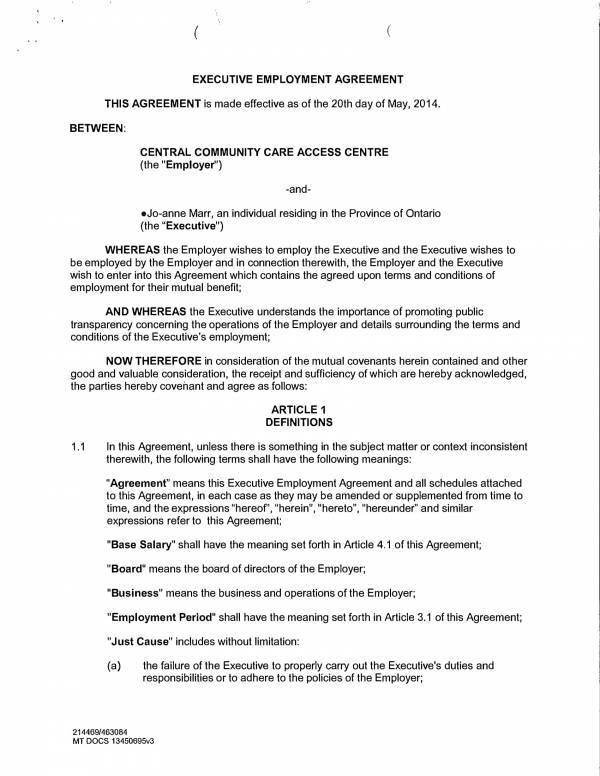 Agreements take place when two parties agree to the same things about business, employment, investment, etc. It is important for any formal an legal transaction that the parties come into terms with its provisions to ensure that the agreement was not forced or manipulated which will make it invalid. Here we will discuss about employment agreements, specifically executive employment agreements. We will find out what it is, its uses, its key elements and many more. We have also included agreement samples and templates that you may use as reference. 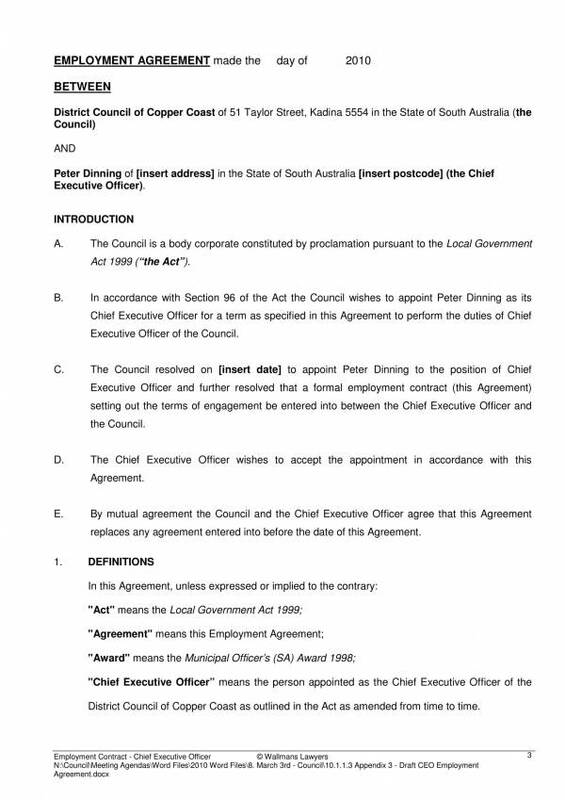 An executive employment agreement is a type of employment agreement that is specifically intended for hiring and employing executive level employees, like the chief executive officer or CEO, chief operations officer or CCO and chief financial officer or CFO to name a few. 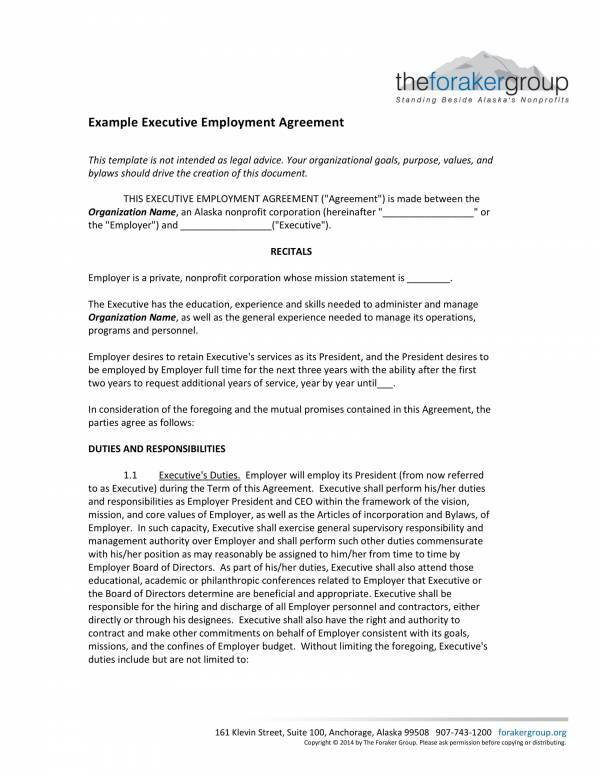 An executive employment agreement is used in defining what the company or organization expects from the hired executive regarding their specific roles, responsibilities and performance. 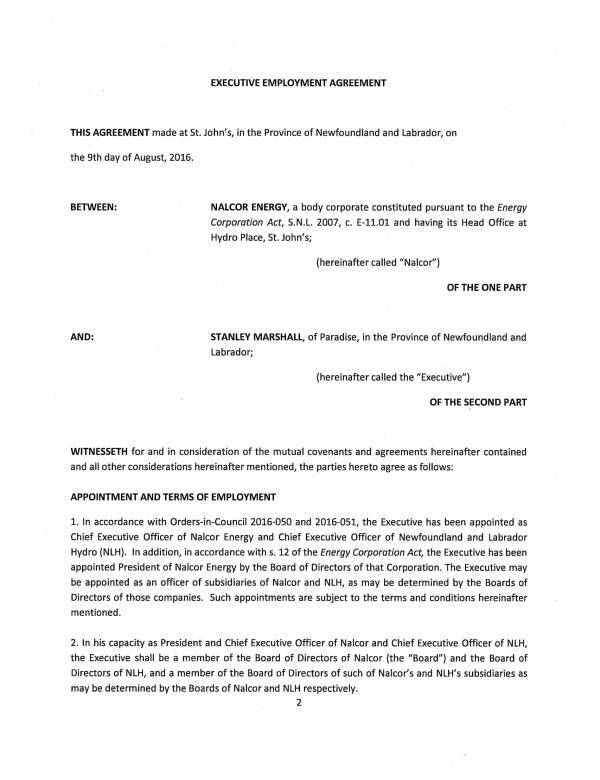 Details about the key contractual obligations of both the executive and the hiring organization are also established in an executive employment agreement. 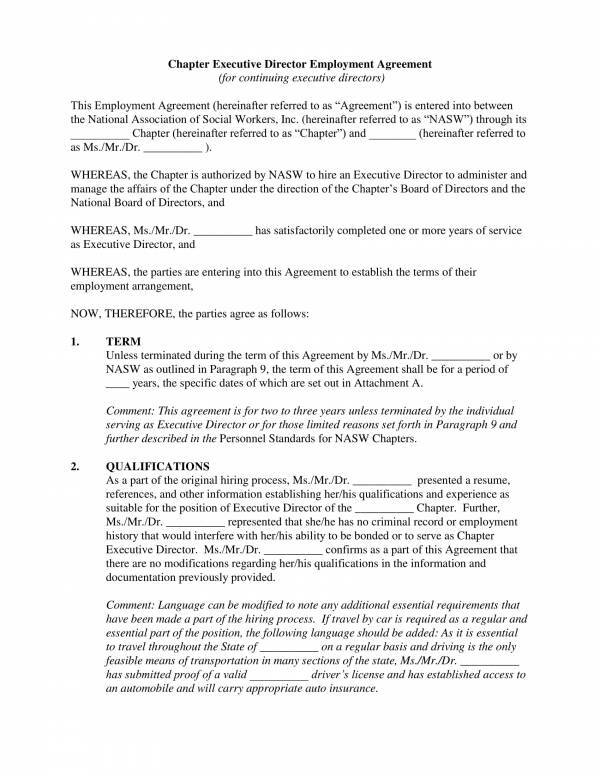 These includes concerns about compensation and benefits, the length or the term of the employment, equity grants, termination clauses like what will happen if there is early termination, any restrictions, disputes, etc. The agreement also provides details of all other things that has been discussed and agreed upon by both the parties involved. 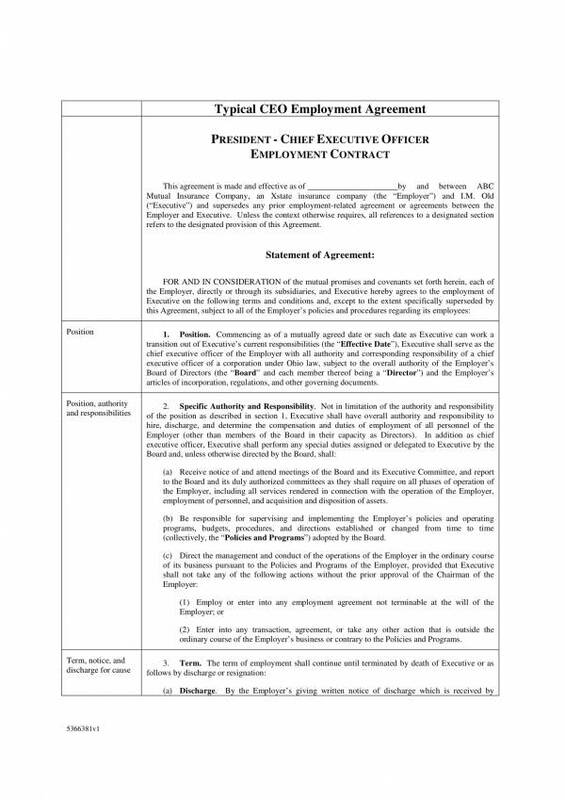 This is so that the employer and the hired executive employee cannot make any claims or changes after the agreement has been signed and agreed on. The document serves as a record and proof of when the transaction took place, when the agreement will take effect and if consent was provided by both parties. The existence of the employee executive agreement gives both parties the feeling of security that the other party will do their share of duties and responsibilities and not just make mere promises without any actions. Executive employment agreements basically have the same uses as that of other employment agreements. What sets them apart are the specific provisions and details of the responsibilities that an executive level employee is bound to as stated in the agreement. 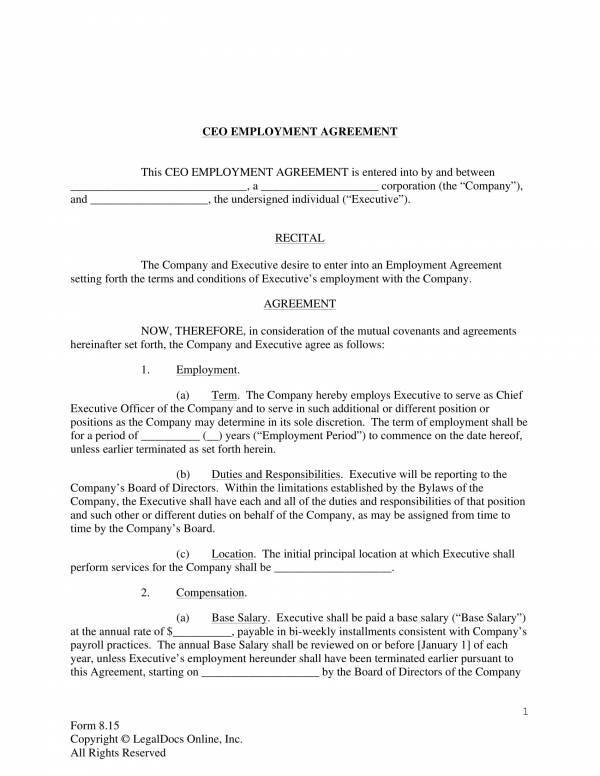 You may also want to check out other agreement related articles we offer, like General Employment Agreement Samples & Templates, Agreement Forms, and Contract Agreement Formats. 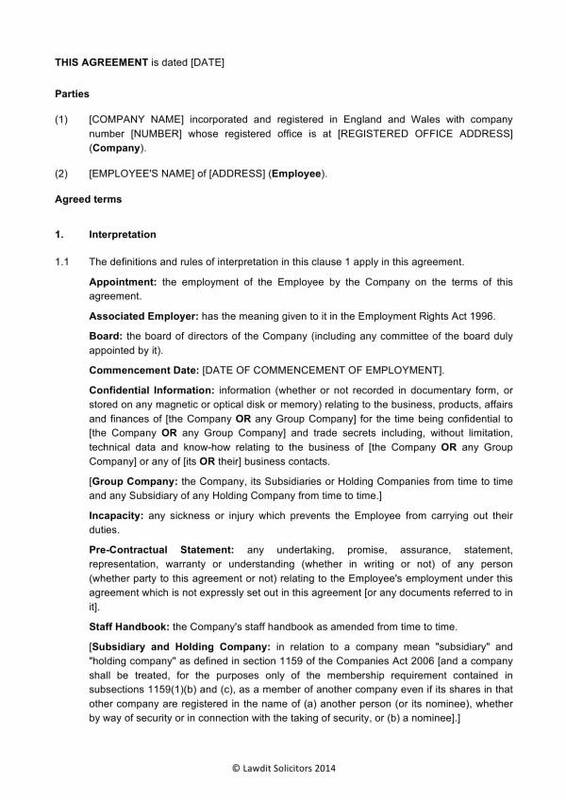 The agreement should provide details about the period of years of the employment and if the employment is subject to early termination as stated in the agreement. This section should also clearly define whether the employment is for a term or at-will. An at-will employment is a type of employment that both parties can terminate anytime without being unlawful and without giving prior notice. The employment agreement should also state if the term will end or if it automatically renew. A termination for cause provision is likely to be provided in an executive employment agreement if the employment term spans for a number of years. This provision allows the employer to immediately terminate the executive’s employment if he or she engages in certain acts that are against the interest of the employer. An executive would want a reasonable and narrow cause, instead of one that is unreasonable, vague and broad. The basic compensation of an executive should be discussed during their preliminary discussion with the employer and not during upon the receiving the employment agreement. This section should cover how much their annual salary will be, specific objectives to get entitled to bonuses, salary payment conditions and timing for these payments, and their annual increases. The agreement should mention the benefits that the executive is entitled to, but it may be stated only in general terms. With this they may need to review separate HR documents to check on their benefits. Some of these benefits, include the coverage of their insurance and their premiums, when their unused vacation time will be carried over, retirment plan service requirements, etc. More than just the general duties and responsibilities that an executive must attend to in the company or organization, they are also need to perform obligation that are ares assigned to them from time to time. 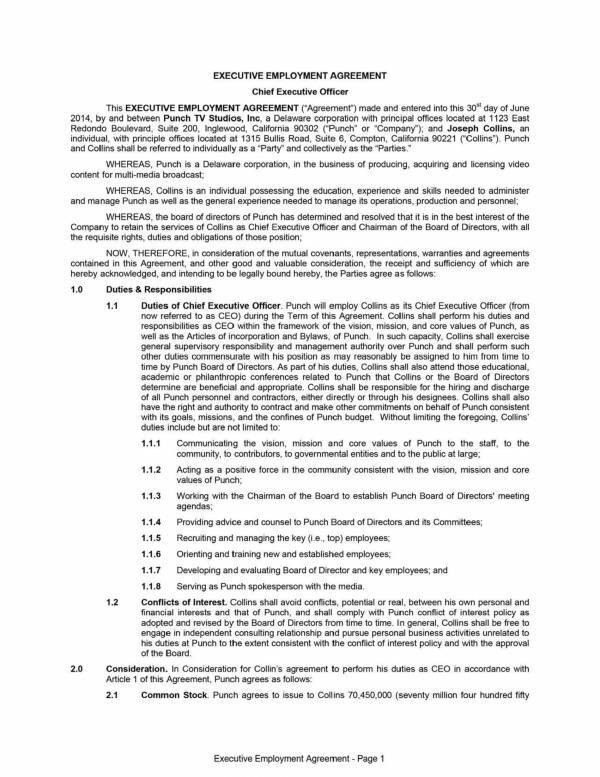 In this section, there may be a definition of the limit or restrictions that the executive can participate in and that includes activities outside the business and personal development activities. There may be tax issues lurking in the provisions of the executive’s contract and that is why it is a must that this section should essentially be reviewed. These so-called equity awards come in the form of stock options, restricted stock units, performance units, restricted stocks, performance shares, stock appreciation rights or deferred stock units. This award is aimed at attracting key employees in the company or organization, as well as to motivate and retain them for a long time as this is considered a long term incentive. and if it reasonable in terms of its geographic reach, its duration, and scope of activities. 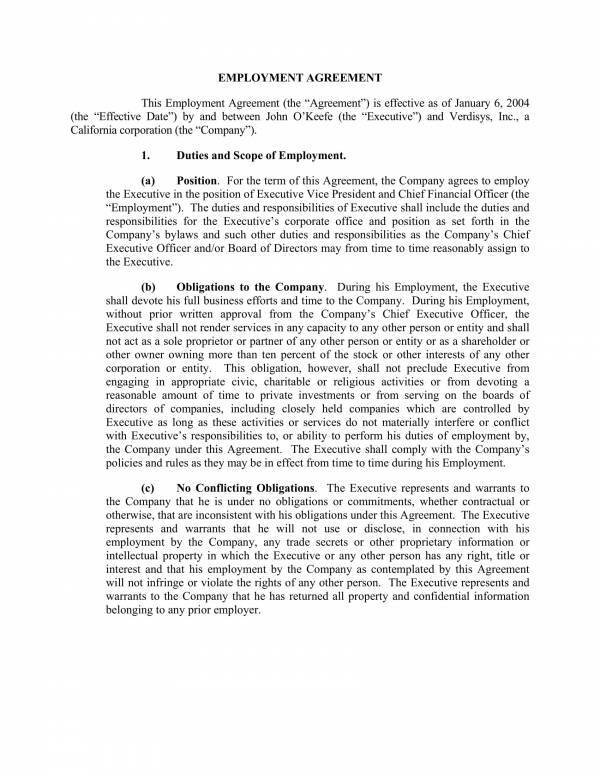 Executives must look into the specific law that will be applied by a court or arbitrator to have the contract interpreted and resolves issues as well as disputes. Being familiar with these key elements will benefit any executive who are planning to get themselves employed. Before signing the agreement, they should check out these important details as it will save them from future problems as well as from legal issues. You may also check out other related topics, like Standard Employment Agreement Samples, Sample Sales Employment Agreements, and Sample Dentist Employment Agreements. Agreement templates provide an easy and convenient way for anyone to produce an agreement document without having to go through all the hassle of formatting and adding the details of in the template. A lot of time can be saved with the use of templates. Not only that, they also also you to save brain power and energy than you can use on more important matters. Many templates are available online and most of them are for free. If not, then they will come with a very small fee that won’t hurt your pocket at all. Agreement templates and other types of templates are user friendly. They are made in different file types that are familiar to a lot of people, like Word and PDF. They are editable and printable which allows the user to make the necessary changes to make the document appropriate for their needs and have then printed after the changes have been made. There are different types of agreement templates for different purposes available online that you can choose from. Need a guide in making your own agreement? Why not use an agreement template then? You can sure get your task done in a breeze. You may find downloadable agreement templates in this article and you may also download them for free. If you need more or want to learn more about other related topics, then you may check out our website. We have their articles, like Outsourcing Services Agreement Templates, Employment Termination Agreement Templates, and Business Development Agreement Templates that you may be interested in.